Assistant Professor Myounghoon “Philart” Jeon (CLS) authored an article, “Menu Navigation With In-Vehicle Technologies: Auditory Menu Cues Improve Dual Task Performance, Preference and Workload” published in the International Journal of Human-Computer Interaction. Come to the free K-5 Family Science and Engineering Night, tomorrow at 6 to 7:30 p.m., at the Portage Lake District Library. Michigan Tech science and engineering students will present two activity sessions. Pre-K to Second Grade: “Buzzing Bees” and “What Floats Your Boat?” 6:05—6:45 p.m.
Third through Fifth Grade: “Be a Computer Programmer” and “Blood and Guts” 6:50–7:30 p.m.
For more information, call the Portage Lake District Library at 482-4570. 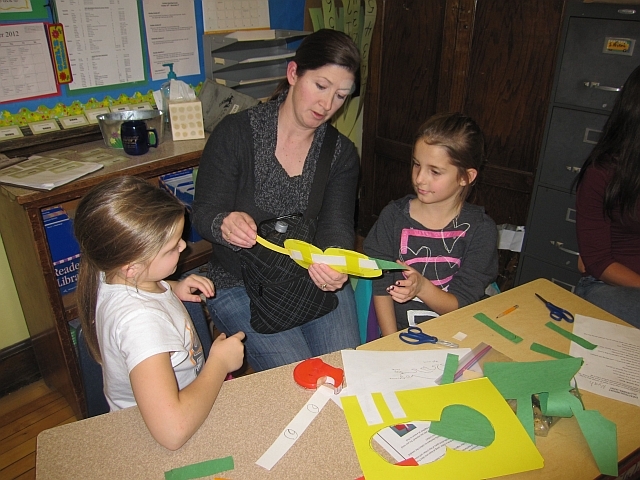 Family Science Night is conducted by the Western UP Center for Science, Mathematics and Environmental Education and Michigan Tech with funding from the Family Engineering Program and assistance from Portage Lake District Library Community Programs. Amy Lark joins the Department of Cognitive and Learning Sciences as an assistant professor. Lark comes to Michigan Tech from Michigan State University. She received a PhD in Science Education and a master’s in zoology from Michigan State. Lark belongs to the National Science Teachers Association, the Society for the Advancement of Biology Education Research and the Society for the Study of Evolution. She has been published in American Midland Naturalist and theJournal of Comparative Physiology.